You choose the amount on the gift voucher, and the recipient can deduct this amount from the price of their Le Boat holiday. Order your gift voucher now and give the ultimate gift - the gift of a getaway! 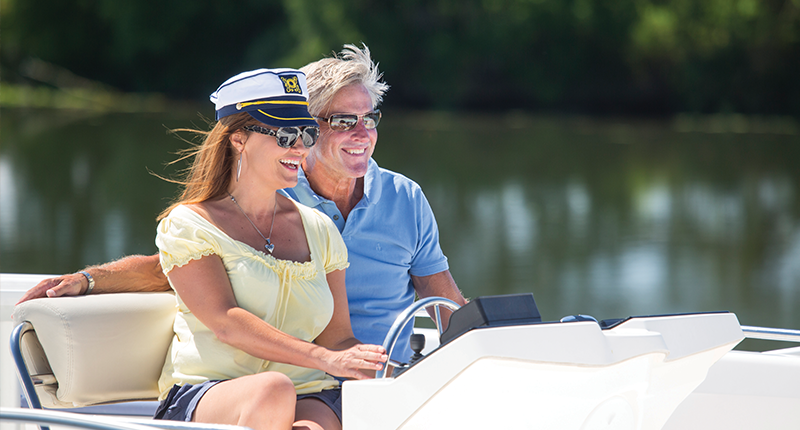 The Le Boat Gift Voucher simplifies travel plans for you and your loved ones. Take your parents, grandparents, uncles, aunts, children or friends for an unforgettable holiday! 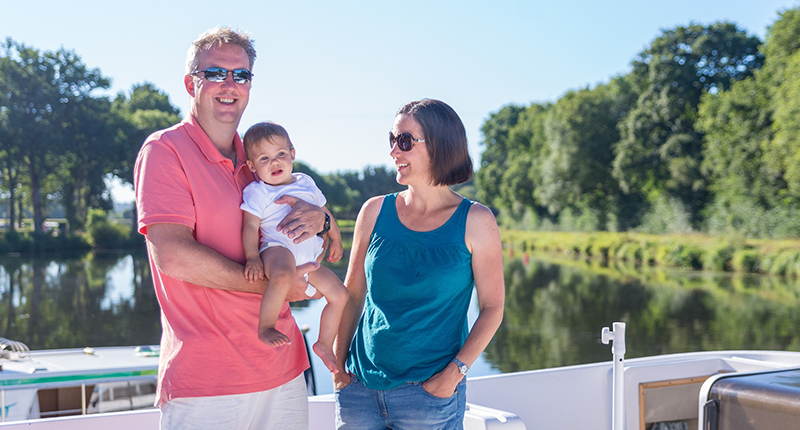 Choose a Le Boat holiday to celebrate your Anniversary, engagement, birthdays, weddings, Valentine's Day, Christmas - it is the perfect choice for any occasion! Gift certificates are valid for one year from the date of purchase and the cruise must be booked during this period (the cruise may however take place in the same season or the following season). The gift voucher is valid on a Le Boat cruise (the gift voucher may be deducted from the boat rental, insurance and optional extras). Gift certificates are accepted as full or partial payment of a new cruise booked, or as payment of the remaining balance for a cruise already booked. However, if the amount owed is less than the value of the gift certificate, then no refund or credit can be made. Gift certificates can not be used on the base of departure to pay for fuel, transfers, or any other extra on the day of departure. In the case of a cancellation entitled to a refund (see our conditions of cancellation), the part paid by gift will be kept in the form of credit to the recipient for a next cruise booked in the dates defined by the gift voucher. The general conditions of sale apply for the use of gift certificates. If the gift voucher has not been used neither the Purchaser nor the beneficiary can claim a refund. The validity date of the Gift Voucher can not be changed. The gift voucher may be transferable to a third party provided to send us the name of the new beneficiary.